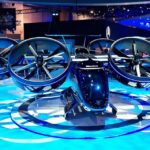 Since the invention of helicopter, the concept behind this vertical lift flying machine hasn’t changed much and that’s probably because the inner workings of such machines are crazy complex and any attempt to tweak a part or component may set off a chain of changes which are both costly and time consuming. 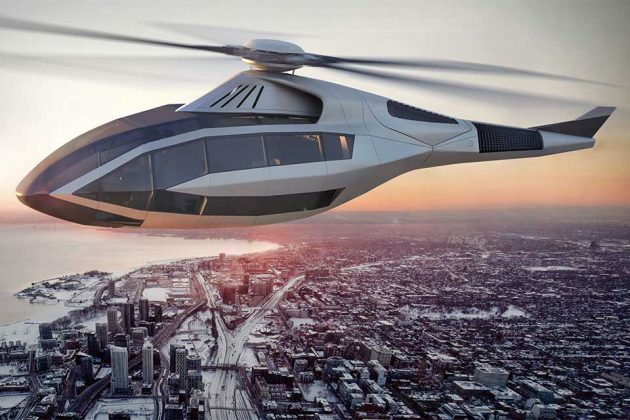 But it looks like Bell Helicopter thought reinventing the wheel is nigh. 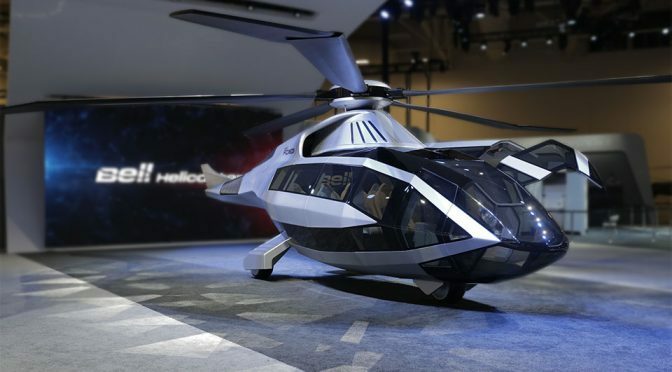 Earlier last month at the HELI-EXPO 2017 in Dallas, the Textron Inc. company has let the world in on the company’s vision of the future of vertical lift aircraft which will also serve as the 3-D roadmap for delivering safer, smarter and more efficient rotorcraft solutions, said Bell. 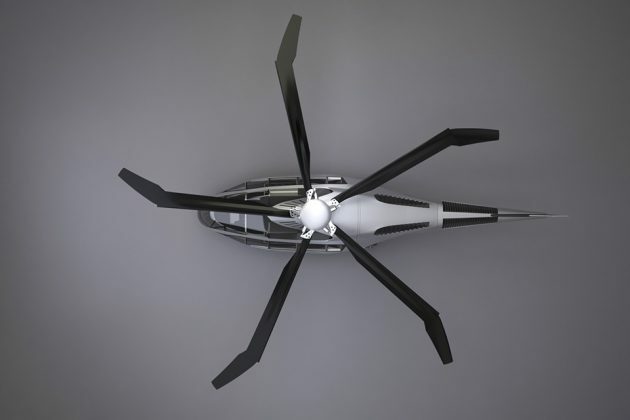 Besides appearing radically different from today’s helicopter, Bell’s bold concept, called FCX-001, will feature advanced innovation such as a new anti-torque system in the tail boom that the company claims will “change the safety, noise and performance parameters of vertical life aircraft forever.” The aircraft will also leverage on hybrid propulsion for a more efficient and simpler operations. 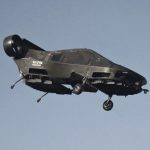 The airframe will also receive much love too, though the use of “advanced sustainable materials” and geometry that provides structural performance while offering enhanced situational awareness, visibility and interior space. 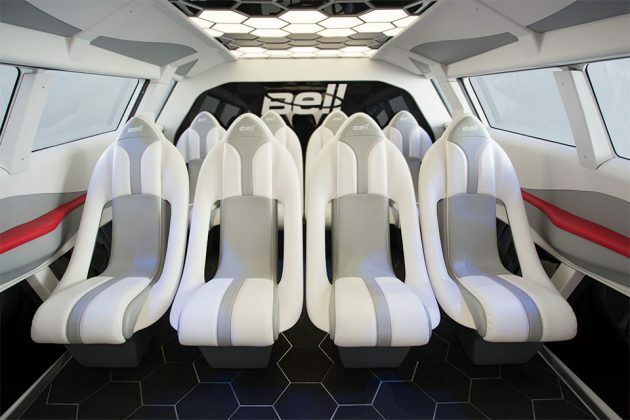 Bell also said the airframe will also be incorporate energy management, which we interpret as some sort of energy harvesting concept. 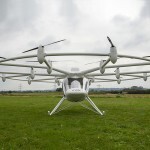 Perhaps, solar or wind turbine? I don’t know. Who knows? 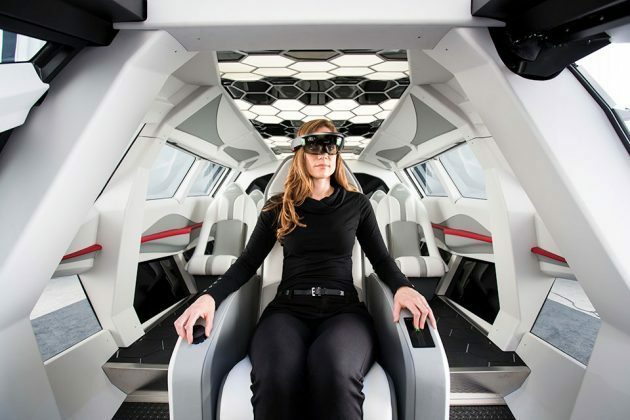 And then there’s also morphing rotor blades that will enhanced flight efficiency and an entirely new flight deck that uses both augmented reality and AI to relief the pilot’s burden of flying. 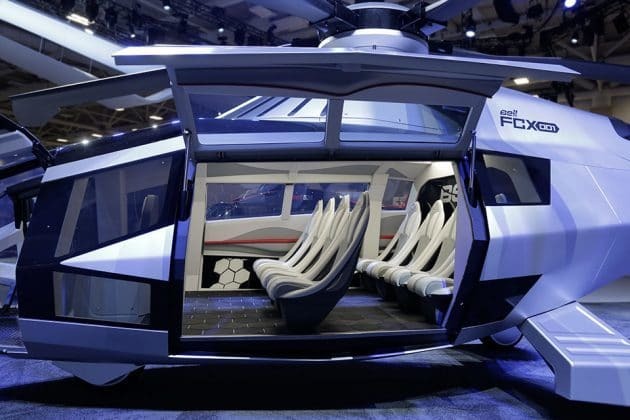 And oh, the passenger cabin will be “highly modular” and uses AR to keep occupants entertained, or for them to carry out their work as they commute on this advanced vertical lift flying machine. 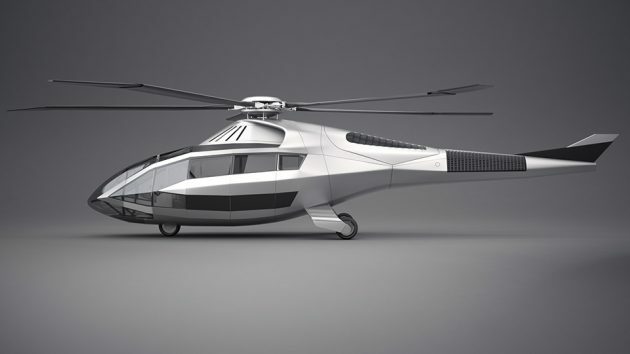 But all those are just concepts for now and being a helicopter, expect a lot more work to be carried before we will see this future of helicopter before us. 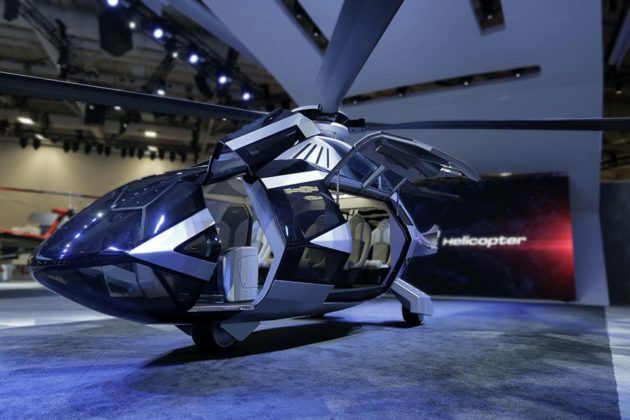 All images courtesy of Bell Helicopter/Textron Inc.
Bell Helicopter via Robb Report.